Extradition is the process by which one country apprehends and sends a person to another country to face criminal charges or serve a sentence. Extradition is also the delivery of an accused or a convicted individual by one state to another state on whose territory he/she is alleged to have committed or to have been convicted of a crime. There is also a system of streamlined interstate extradition within Australia. What are some examples of extradition? For example, extradition is used if a person commits an offence, such as murder, in Australia and flees to the United States (US) before he or she is prosecuted. In that case, Australia could make an extradition request to the US for the arrest of the person in the US and his or her return to Australia to face prosecution. What laws deal with extradition from Australia to other countries? The Extradition Act provides Australia’s legislative basis for extradition. It sets out a number of mandatory requirements which must be met before Australia can make or accept an extradition request. Those requirements may be supplemented by requirements contained in a multilateral or bilateral treaty. No country in the world has an extradition treaty with all other countries; for example, the United States lacks extradition treaties with several nations, including the People’s Republic of China, Namibia, the United Arab Emirates (UAE), North Korea, and Bahrain. What are the criteria that permit or deny an extradition to proceed? Failure to fulfill dual criminality – generally the act for which extradition is sought must constitute a crime punishable by some minimum penalty in both the requesting and the requested parties. Political nature of the alleged crime – most countries refuse to extradite suspects of political crimes. Possibility of certain forms of punishment – some countries refuse extradition on grounds that the person, if extradited, may receive capital punishment or face torture. A few go as far as to cover all punishments that they themselves would not administer. Jurisdiction – Jurisdiction over a crime can be invoked to refuse extradition. In particular, the fact that the person in question is a nation’s own citizen causes that country to have jurisdiction. Citizenship of the person in question – some nations refuse to extradite their own citizens, holding trials for the persons themselves (see e.g. trial of Xiao Zhen). In some cases, such as that of Hafiz Muhammad Saeed, the suspect will not face criminal charges at all. The Extradition Act 1988 governs the extradition of fugitives found in Australia to other countries. The law ratifies a series of treaties to which Australia is a party with other countries, either in the right of the Commonwealth of Australia, by being bound by treaties which the United Kingdom executed on behalf of the Commonwealth of Australia, or multilateral treaties to which Australia is a signatory. What is the Extradition Process in Australia? The person is arrested and the magistrate considers bail. The Commonwealth Director of Public Prosecutions (CDPP) applies to a magistrate in Australia to issue a warrant for the arrest of the person. The magistrate issues a warrant for the arrest of the person. The arrest warrant is executed by the police. The person must be remanded in custody unless there are ‘special circumstances’ that warrant bail being granted. The magistrate determines whether the person is eligible for surrender. What does a Magistrate consider when determining whether someone should be surrendered? if there are any additional requirements imposed by regulations. For example the Extradition (Republic of France) Regulations require two years, rather than one year, as the minimum period of imprisonment to establish an extraditable offence. The person or country can seek review of the extradition decision of the magistrate about the person’s eligibility for surrender. The magistrate’s decision can be reviewed by the Federal Court or the Supreme Court of the State or Territory within 15 days. The decision can be appealed further to the Full Court of the Federal Court again within 15 days. Any application for special leave must also be made within 15 days of the Full Federal Court’s decision. Who has the final say about whether someone should be extradited? Attorney-General or Minister decides if the person should be surrendered. If the magistrate determines the person is ‘eligible for surrender’, or if the person consents to extradition, the Attorney-General or the Minister for Home Affairs decides whether to surrender the person. What matters does the Attorney General take into consideration when considering extradition? treaty requirements and any other issues, as the Attorney-General and the Minister for Home Affairs have a general discretion as to whether to surrender the person. What is an extradition objection? the person has been acquitted, pardoned or already punished for the offence in Australia or the requesting country. What is Prosecution in lieu for Australian citizens? The Attorney-General or the Minister for Home Affairs may consent to the prosecution of an Australian citizen in Australia instead of extraditing that person to the foreign country. This can only be done if Australia refuses extradition on the ground of citizenship and the other country would also not extradite its own citizen in similar circumstances. However, Australia does not, as a matter of practice, refuse to grant extradition on the grounds of citizenship. Can you consent to extradition? The person may consent to their extradition. In 2004-05, nine out of the 12 people who were extradited by Australia to other countries consented to their extradition. However, many do seek to fight or challenge extradition. What is Mutual Legal Assistance (MLA)? Mutual Legal Assistance (MLA) is the formal process of sharing evidence about criminal investigations or prosecutions between countries. Many states rely on mutual legal assistance treaties (MLATs) to govern the MLA process. An MLAT is an agreement between states outlining the terms for managing cross-jurisdictional requests for evidence. What is the Mutual Legal Assistance (MLA) process? Nyman Gibson Miralis specialise in all aspects of extradition and mutual legal assistance (MLA) law. By its very nature, extradition is a transnational process. Our Sydney criminal lawyers are experts in transnational law and have advised and represented persons relating to potential extraditions to the US, South Africa, E.U countries, England and the UK, Asia. U.A.E, Russia, India and Mexico. 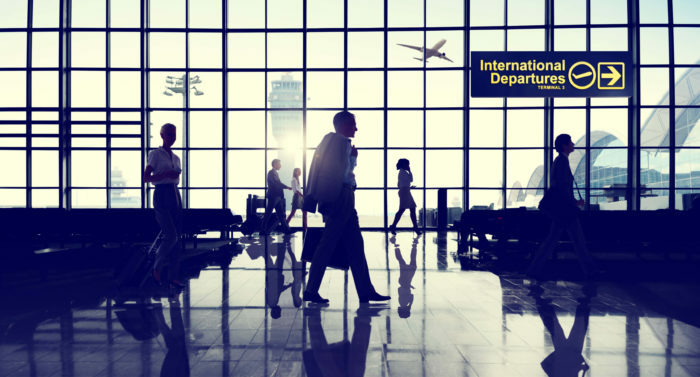 Discover what happened to two of our clients in a recent extradition matter, involving Australia, Mexico and Europe, and an Interpol Red Notice. With which countries does Australia have Bilateral Extradition Relationships? Can Australians be extradited to the United States of America for violation of RICO? What techniques does the United States use to extradite and prosecute fugitives? How many Extradition and Mutual Assistance requests did Australia make and receive in 2016-17? What is the framework for International Cooperation in Extradition and Mutual Assistance matters? What is Australia’s international process for requesting and extraditing persons? How can extradition from Australia to another country be challenged? Why may requests for Mutual Legal Assistance be refused, and what are the alternatives? How can Mutual Assistance Treaties be Improved? What Key Reforms Are Needed in Mutual Legal Assistance Requests? How do the Mutual Assistance Laws operate in Australian Extradition Cases?